Aerostar, Andrew Everett, Angélico, Announcement, Barretta, Biff Busick, Brian Cage, Classic, Drago, Dream Match, Fenix, Jack Evans, Mark Andrews, Marty Scurll, Matt Sydal, Pentágon Jr., Rich Swann, Ricochet, Roderick Strong, Super Dragon, The Young Bucks, Tommy End, Trent Barretta, Trent?, Trevor Lee, Will Ospreay, Young Bucks, Zack Sabre Jr.
Hello everyone and welcome to my PWG Battle of Los Angeles 2015 Stage 1 Review! 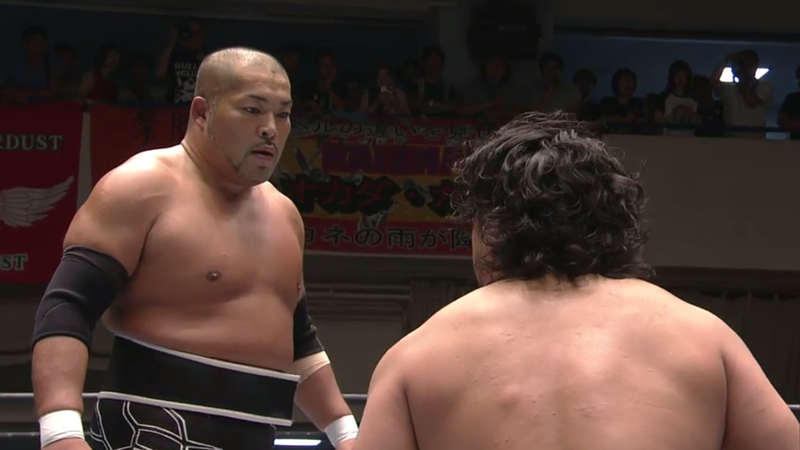 I got my hands on BOLA this year and thought, what the hell, might as well review it. I have heard this is a fantastic tournament with multiple 4*+ matches that I cannot wait to watch. Lets get this review underway! Hello everyone and welcome to Random Match Roundup #9! This is where I review 5 random matches from anytime and anywhere for you’re enjoyment. To suggest matches, contact my twitter and email listed here. Anyway, lets get these reviews underway. 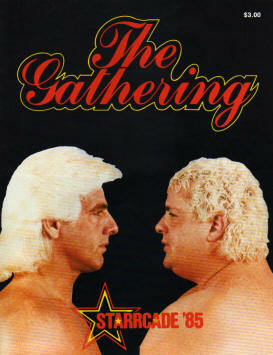 Hello everyone and welcome to the Starrcade 1988 review! This card is freaking stacked. Every match had potential to be, at least good, and this will hopefully be a better, more consistent card than any of the prior shows. A trend in these Starrcades has been slowly moving away from a territory supercard, and, instead, having this show be solely a Jim Crockett Promotions card. That allows cards to be shorter, matches to get more time, and most subpar wrestler’s to be left out. Some matches, like Lugar vs. Flair or the Midnight Express vs. the Original Midnight Express, have the opportunity to be classics, so I hope this show doesn’t disappoint. Anyhow, let’s get this underway. 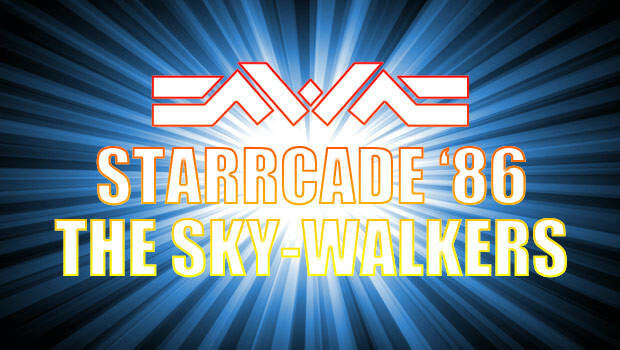 Hello everyone, and welcome to my Starrcade 1987 review! Well, this came out way later than I wanted it to. As I’ve said a million times before, I’m really busy, and these reviews take time I don’t really have. That’s why, starting in September, I’m going to use my stockpile of RMR reviews so this site has some content. I want to put out something every 2 weeks, but absolutely no promises. I will still do WWE PPV reviews every month, but Starrcade might take up to 2 months to do sometimes. 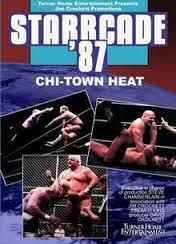 Now, about Starrcade 1987. This show seems like an odd one. There are fewer matches, and most matches are longer, which could either cause matches to have great stories, or be a boring slog. Also, most matches have talented wrestlers saddled with worse talent, and that may cause a lack of 4*+ matches. This is all speculation before watching, though, and I hope it exceeds my expectations. Anyway, on to the review! Hello everyone and welcome to the Starrcade 1985 review. I haven’t heard much about this show, but I am über excited to watch. I saw Magnum TA vs. Tully Blanchard a few years back and gave it 5*, so I can’t wait to see it again. Also, this show had the Flair vs. Rhodes rematch, which I enjoyed last year. Overall, it looks like its going to be a good show. Lets get started!